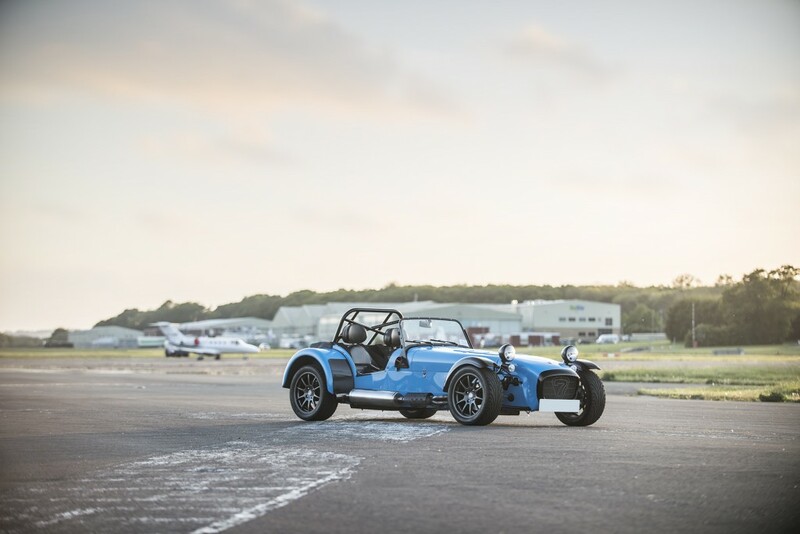 So now the car is running beautifully, it seemed a good opportunity to take the car along to VMax200 to see what it could do and get to grips with the handling of the car in a safe open environment. 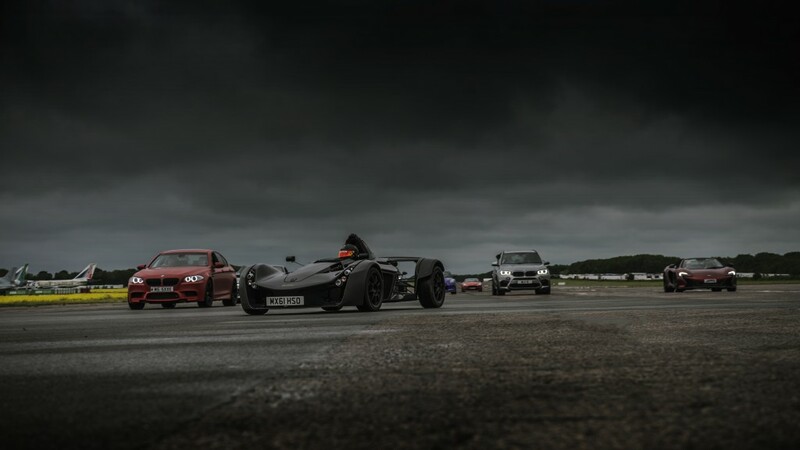 For those who don’t know, VMax is an event at a private runway in the UK where some of the fastest road cars in the world turn up to see what kind of top speed they can achieve in the safest environment possible. 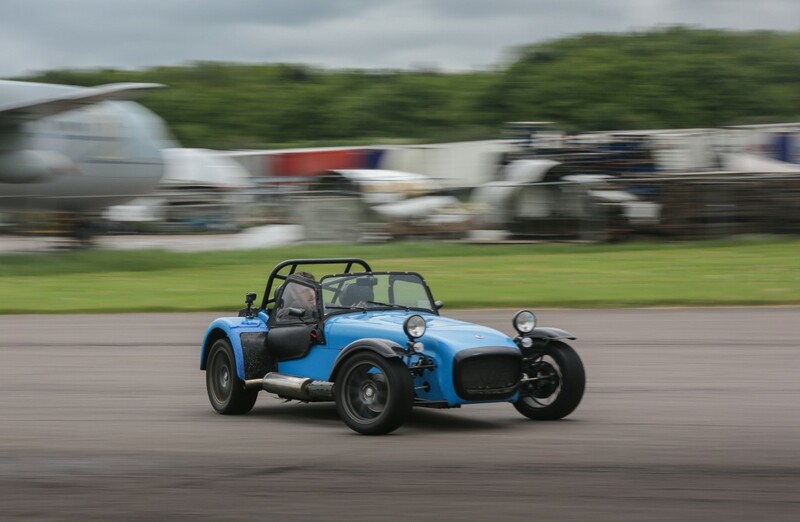 Thank you to all the people who took the below photos when I was driving, including Stuart Theobald, Riad Ariane and Steve Hall. 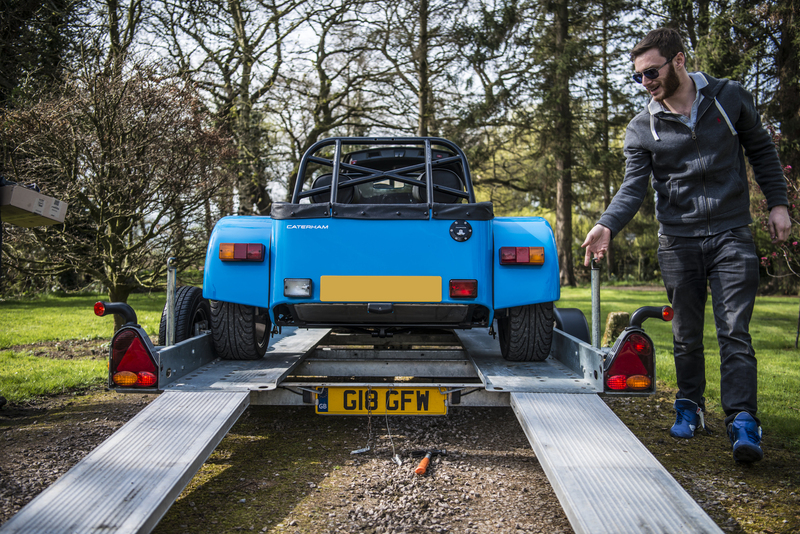 I’m lucky enough to have a trailer for the Caterham, it makes it a much more pleasant experience going to and from the track and also keeps the milage down on the Caterham as it’s on a limited milage insurance policy with Adrian Flux. 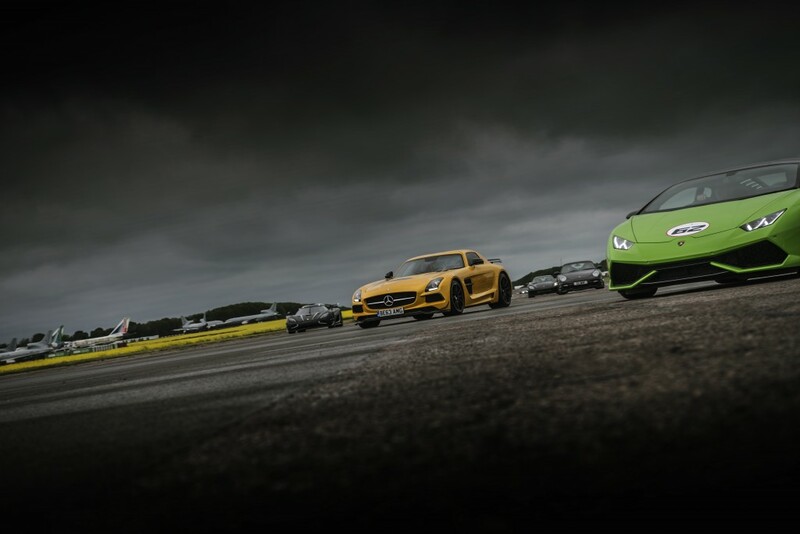 As always there was quite an amazing selection of cars taking part in the event. 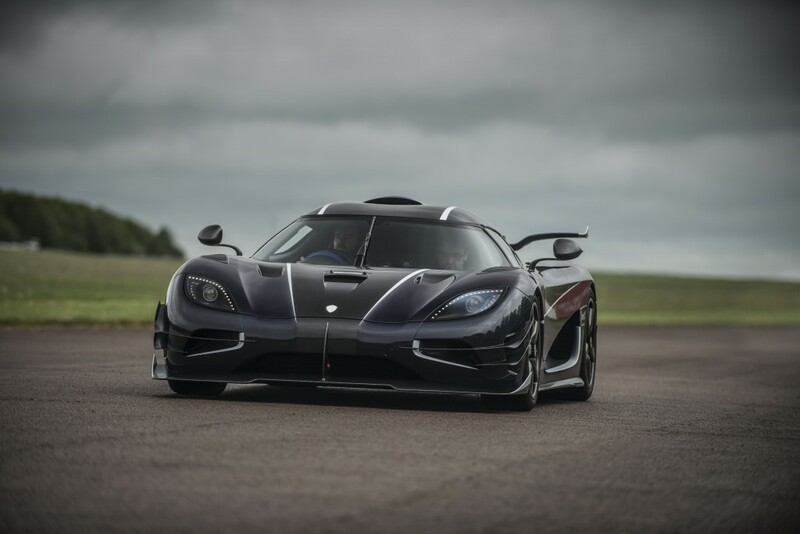 This Koenigsegg One:1 went on to set a new record of 240mph! 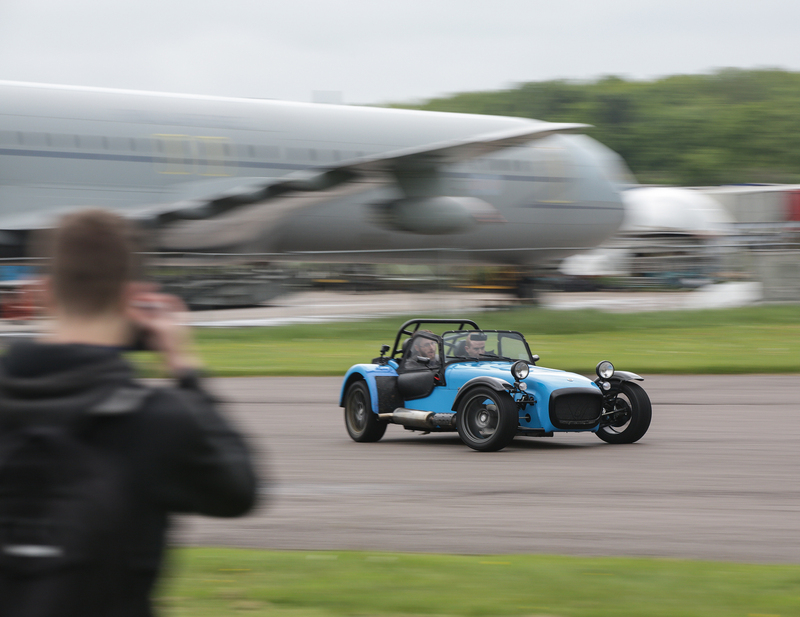 So on to the Caterham… It was my first time driving on track so I built up over the process of the day. 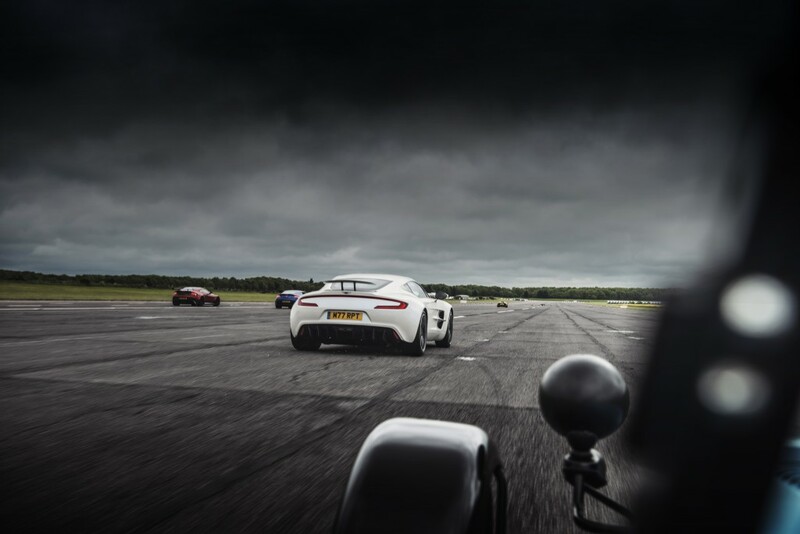 I did 2 attempts at a VMax and both times topped out at 118mph. 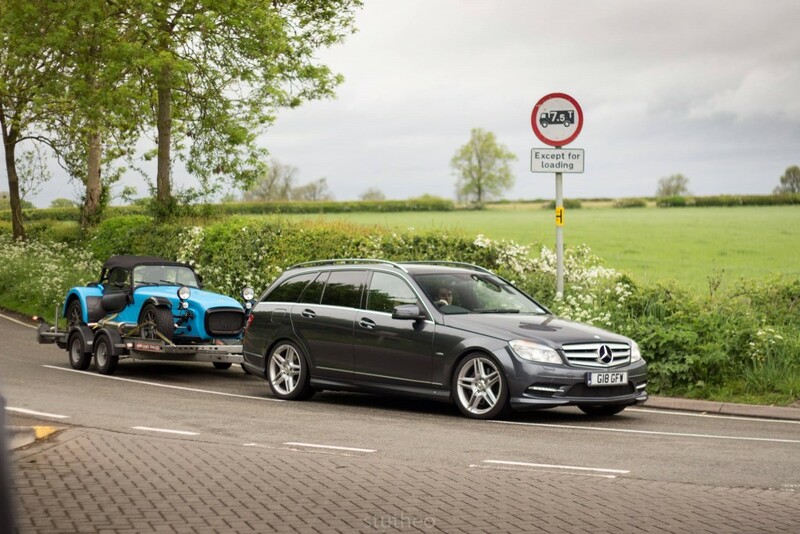 Last time I went to VMax I recorded 145mph in my Mercedes, the Caterham clearly isn’t about top speeds though! 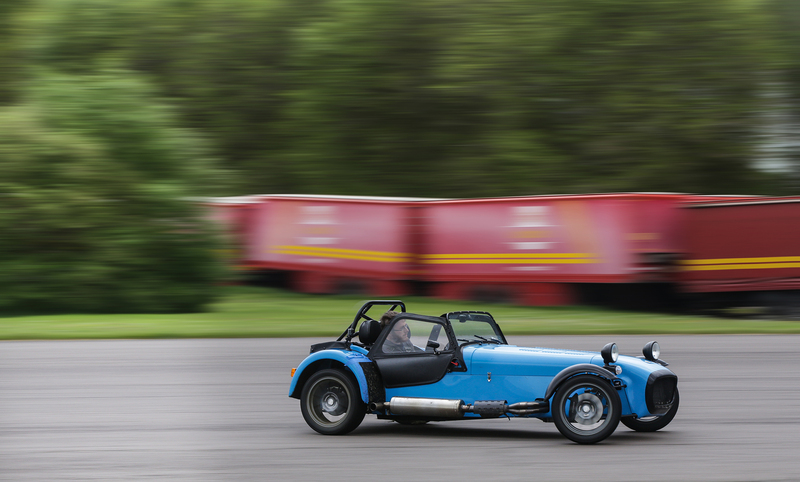 This is what the Caterham is about, the corners. The amount of feedback and grip the car has is unbelievable, it sounds cliche, but once you’re strapped in to the car you really do feel a part of it. Now the car has only had a very basic geo at the moment, not corner weighted, so the car isn’t set up for optimum handling yet. 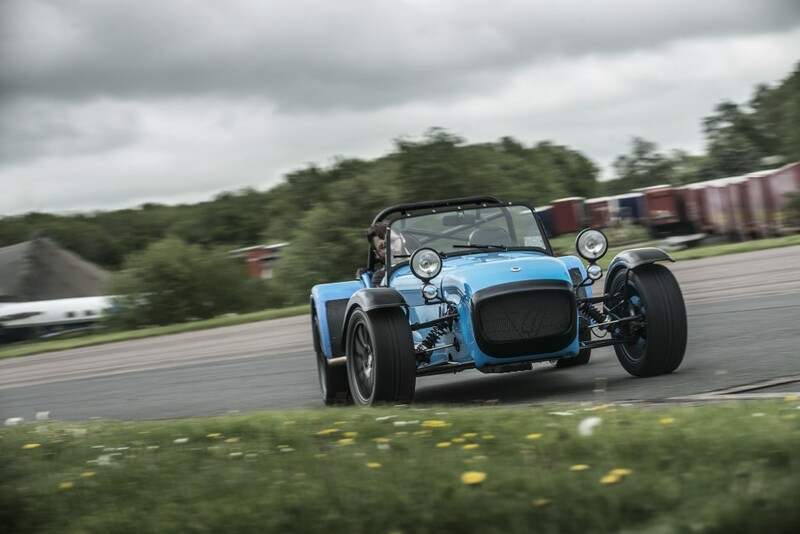 I immediately found that the balance of the car was towards understeer which doesn’t really suit my driving style… What did hugely impress me though was just how much grip there was, the car didn’t really want to slide about, it wanted to go round the corner with little fuss. Of course to get cool photos I wanted to get it sideways though, so I did a few passes of ‘backing it in’ which was really rather enjoyable as you’ll see below! This was my best slide, perfectly clipping the apex with one wheel! So in conclusion, yes, the Caterham was the most fun car there! 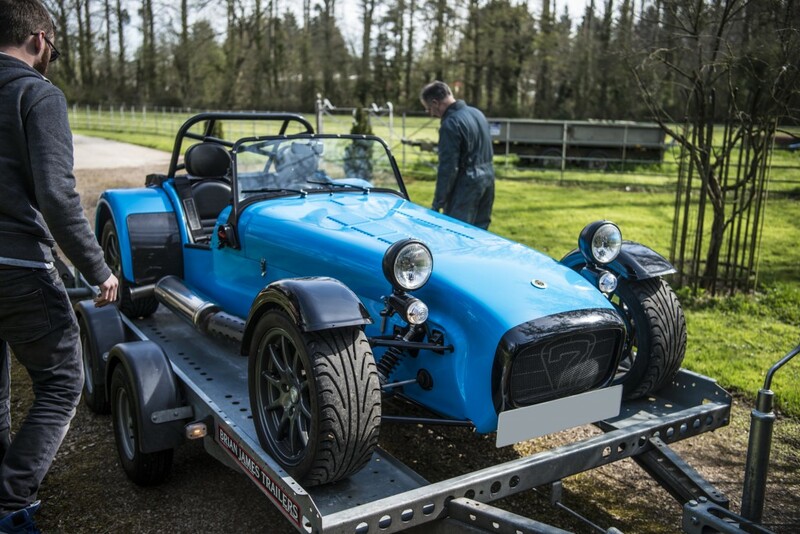 On Friday at 4pm it was finally time to pick up the Caterham after all the work was completed by DPR Motorsport. 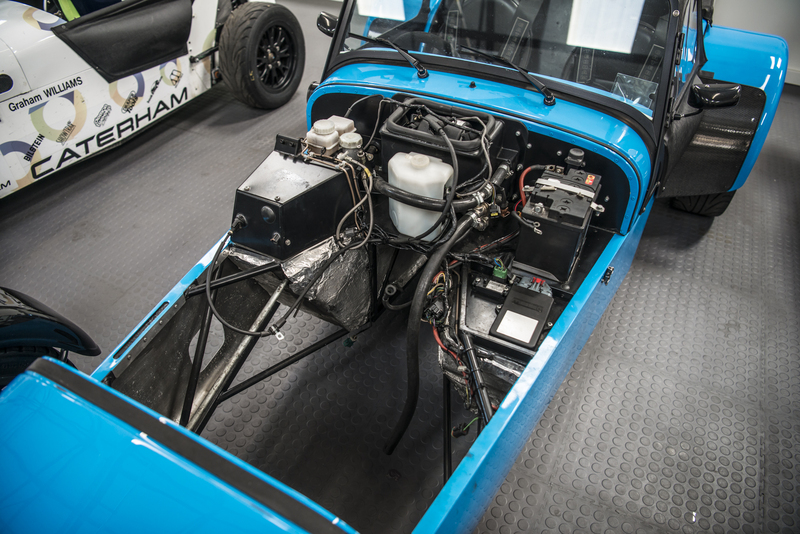 The car had had a lot of work done and the gearbox had been rebuilt following the problems you can read about below. They found that the main casing had play in the gearbox housing where the operating arm locates which was causing the fault. Roller barrel throttle bodies setup and idle adjusted. Quite a list of stuff done already and it goes back tomorrow for even more work to get it absolutely perfect! So on to the driving! So come pick up time I was beyond excited, but also a little nervous after my previous experience with the car. First stop was to get it home to parents house so I could have a good look over the car and check I was happy. Of course I was and everything looked great! Biggest difference I noticed when driving was how much smoother it was thanks to the throttle bodies being set up. It also wanted to rev a lot faster thanks to the flywheel. 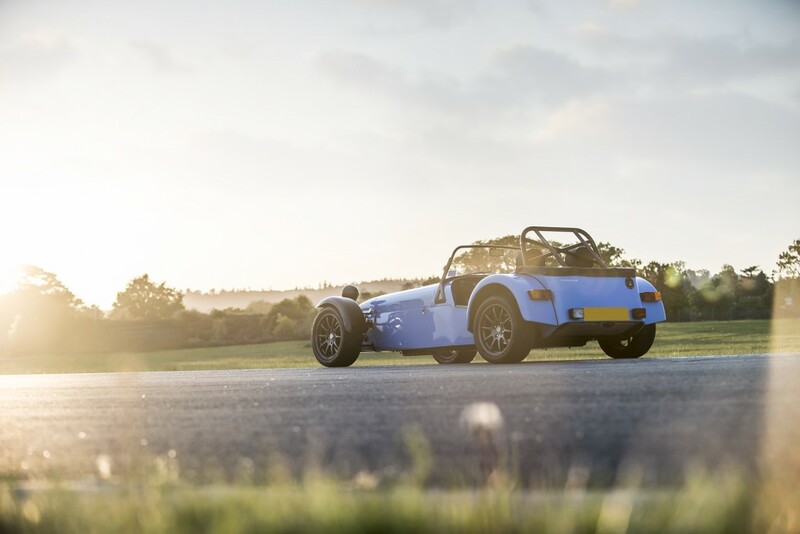 I was surprised how big a difference the weight from the standard one was, 8kg down to 4.5kg is a huge difference and the whole car feels more alive because of it, rev matching becomes a pure joy! 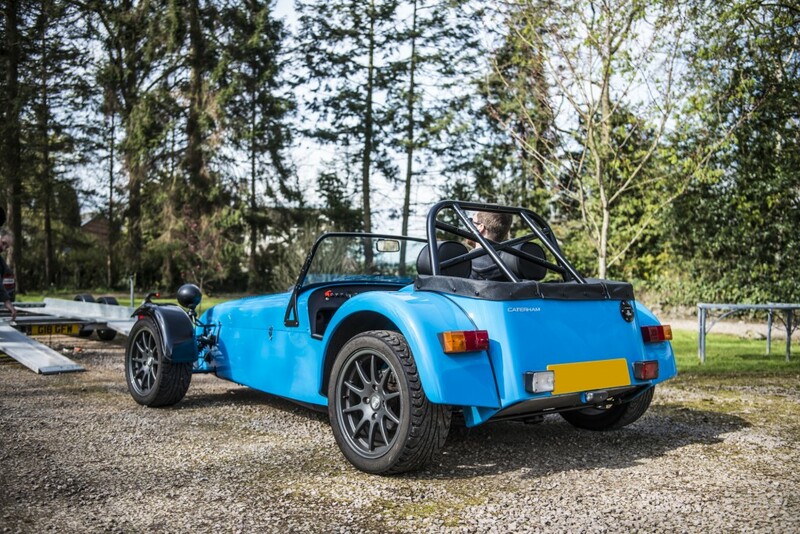 My first few journeys on Friday were with my Dad on country roads, just taking it easy and enjoying the experience and getting used to the car. Even at low speeds it’s incredibly enjoyable just picking your exact line along a road (the car is so small you have room to place it in your lane) and changing gears. When you start to push on a little bit more though it comes alive and really makes sense. 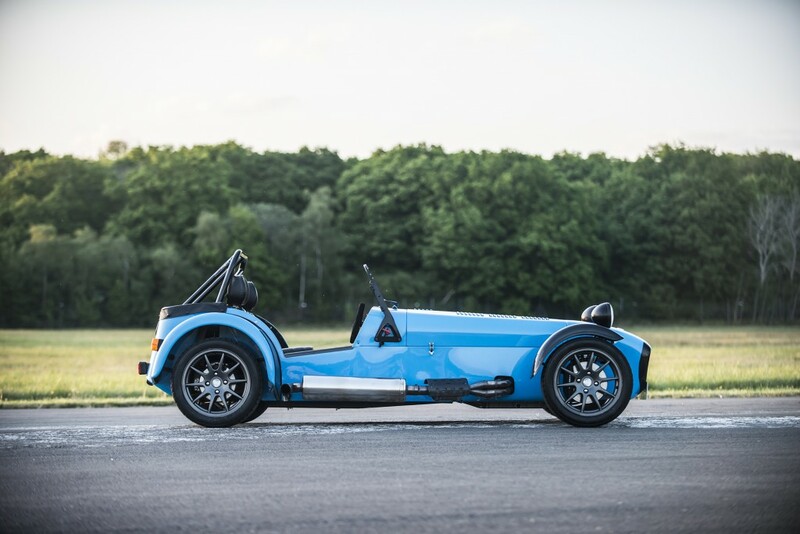 The car is totally predictable, it’s set up for a little bit of understeer at the moment which then if you want to you can power into and the back will be exactly where you want it. Perfect for the road as it makes the car a bit safer, although if we decide to track the car it will be set up accordingly. On Friday evening I decided I would go meet some friends up in London at Marble Arch. It’s a lovely experience driving through London on a warm evening in a convertible, you can look up and see the amazing buildings around you and just feel the atmosphere along each different road. I stopped for a lemonade then somehow ended up staying until about 1am so it was a late drive home. When I got home on Friday evening I’d done just over 100 miles! On Saturday I had to get my Mercedes MOT sorted (it passed, woo!) 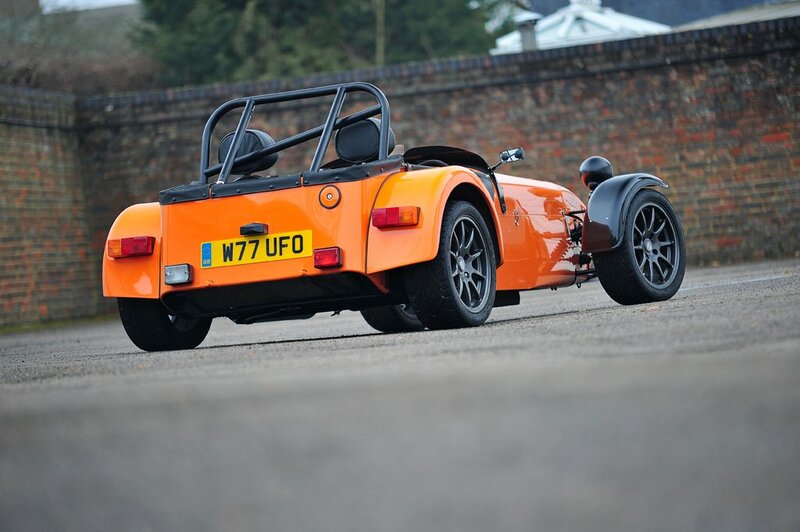 so drove to Redhill for that then went back to my parents house to take my older brother for a ride in the Caterham. He approved and between us we were comparing the differences between my car and dad’s old one. Dad’s old K-Series car didn’t have a 6 speed gearbox or an LSD so quite a big difference there in terms of how the car feels, sounds and handles (LSD) alone. I can’t believe the difference an LSD makes, it makes the car so much more predictable. Then the other big differences are that the exhaust is on the drivers side, so it’s really bloody loud if you’re the driver in your right ear and the throttle bodies mean the induction noise on my car is incredible. 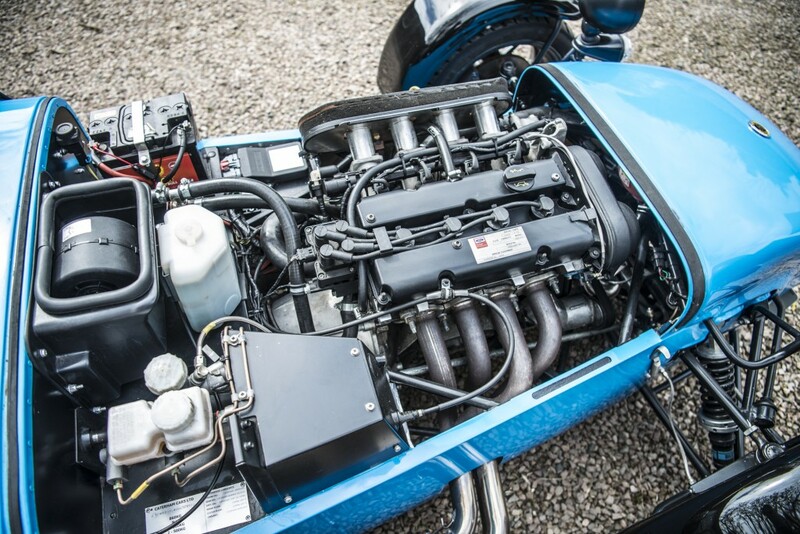 What I did prefer about dad’s K-Series was the engine felt more explosive at higher revs. 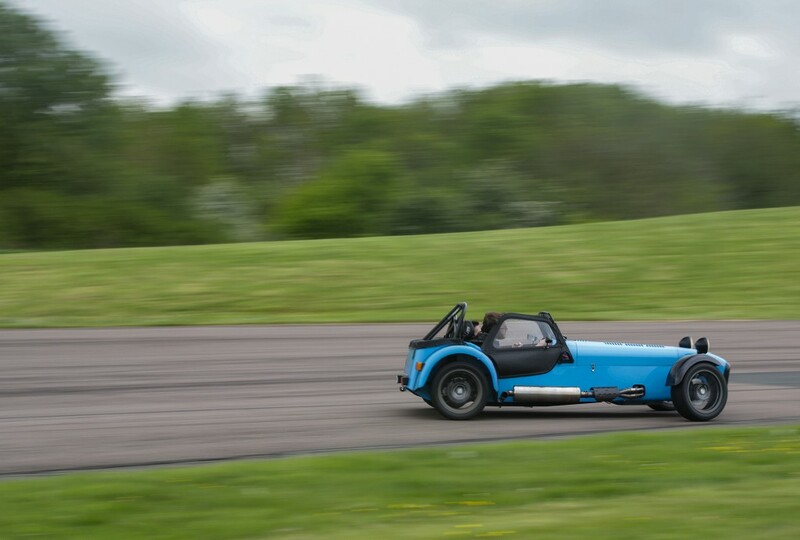 My engine is a lot smoother through the whole rev range which is lovely, but different to the K. I also think the K-Series was a better sounding engine, but mine doesn’t exactly sound bad! Saturday afternoon and it was time for a proper drive on some of my favourite roads with my best mate. We headed down to Dunsfold to see Paul at Miracle Detail. On a couple of the roads on the way down I got the chance to open the car up a lot more than before and the more I did the more it came alive! 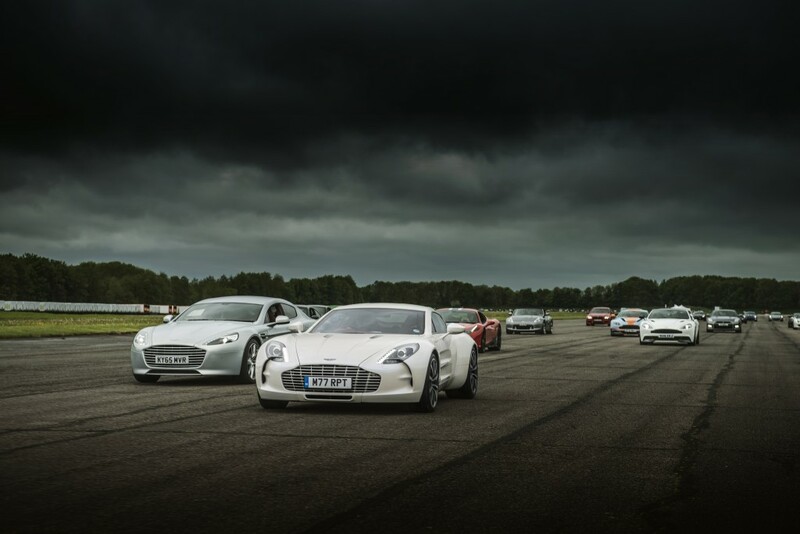 It’s such a raw experience that no other car comes close to, and by god is it loud! After a while we swap over and my friend drives. My ears were ringing from my drive with 7000 revs and the exhaust right by my ear! I drive it back to mine and the total miles for the weekend is 250 at that point, every single one of the with a smile on my face. It goes back in to DPR tomorrow morning for final checkups and a few more service items so when we collect it later next week it should hopefully fly though it’s MOT and we can then just enjoy driving it. 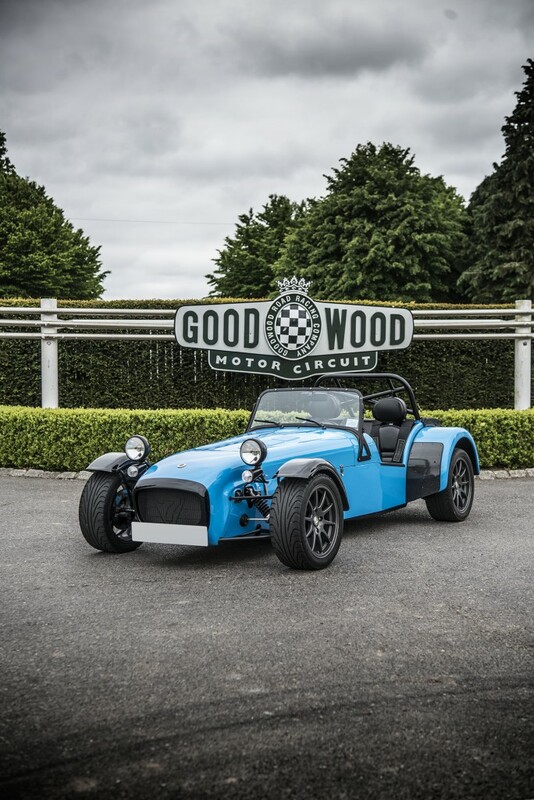 The story begins back when I was 10 years old, Dad decided to go look at some Caterhams. I remember the day vividly and didn’t really understand the car, more just thinking it looked a bit like Brum! Dad found a blue 2002 Roadsport and decided to buy it! 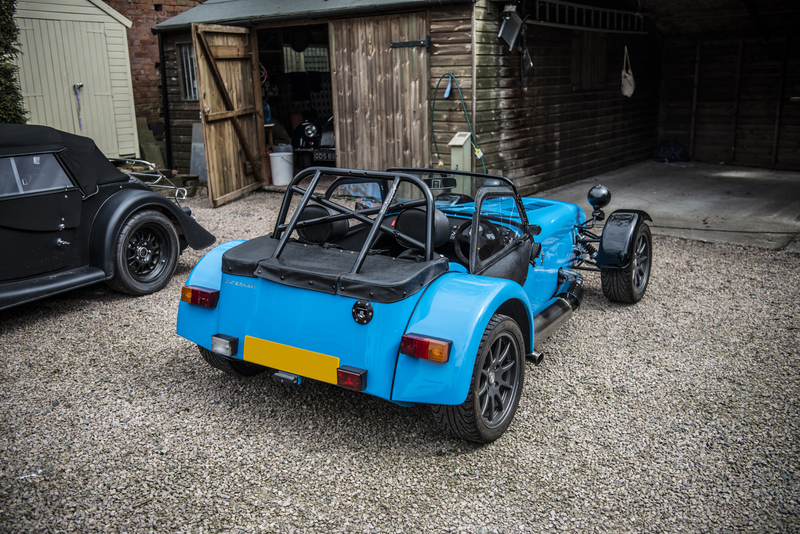 A week later when he collected it and took me out for a ride it I immediately understood what a Caterham was all about, such a raw experience which plays with all your senses. 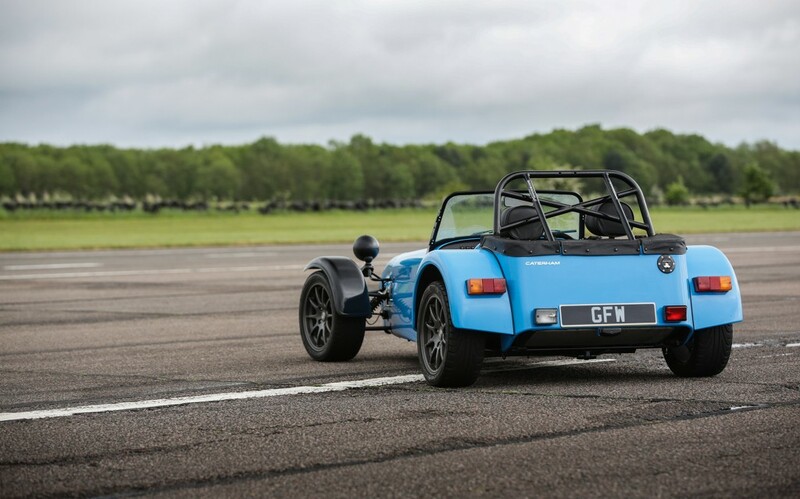 Dad and I used to go to lots of Caterham car meets which were always fun seeing and driving round with other Caterhams. 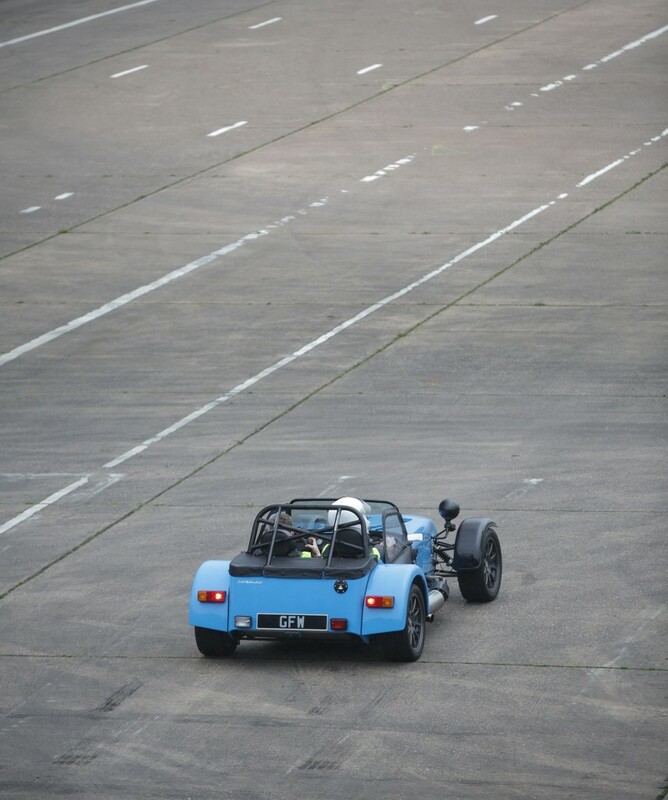 Dad then decided he wanted to do trackdays and did several trackdays around the UK. 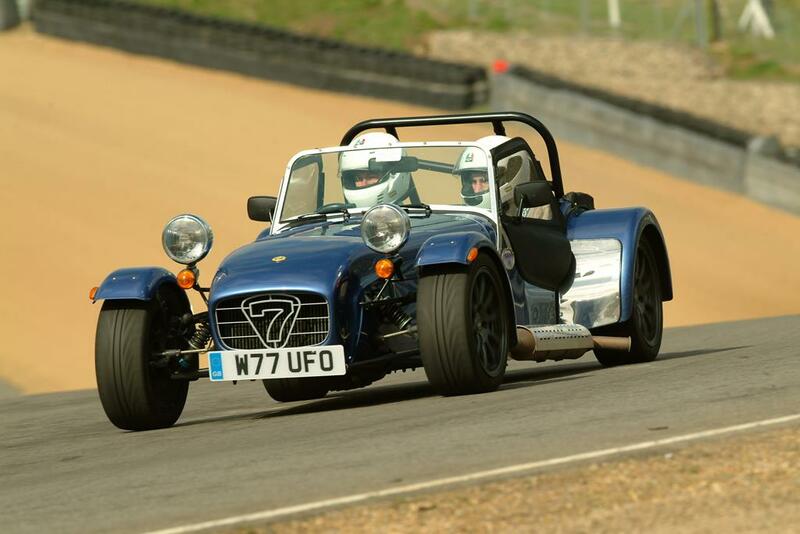 In the photo below you can see Dad driving at Brands Hatch with my older Brother in the passenger seat. 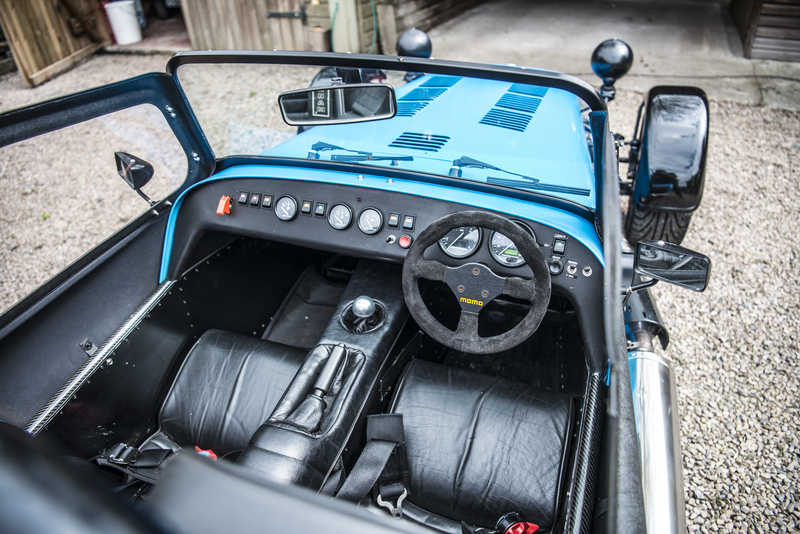 Over the course of ownership the car was modified and upgraded until we get to when I was 18 and it looked like this and I was allowed to do trackdays in it! 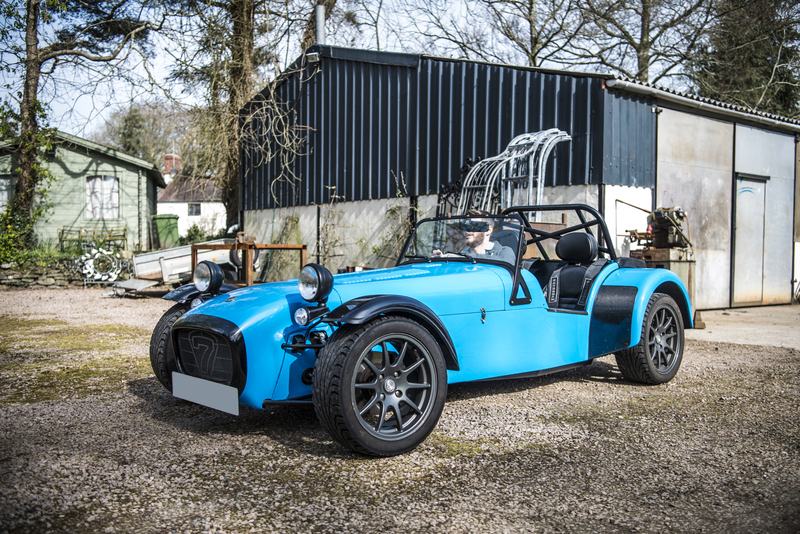 It was a K-Series with about 150hp, adjustable suspension, 5 speed gearbox, Porsche GT3RS Orange paint and all the silver bits replaced with carbon fibre or black bits. I did three trackdays in it and each one was an amazing experience, really learning how to drive properly in the perfect car for the job. 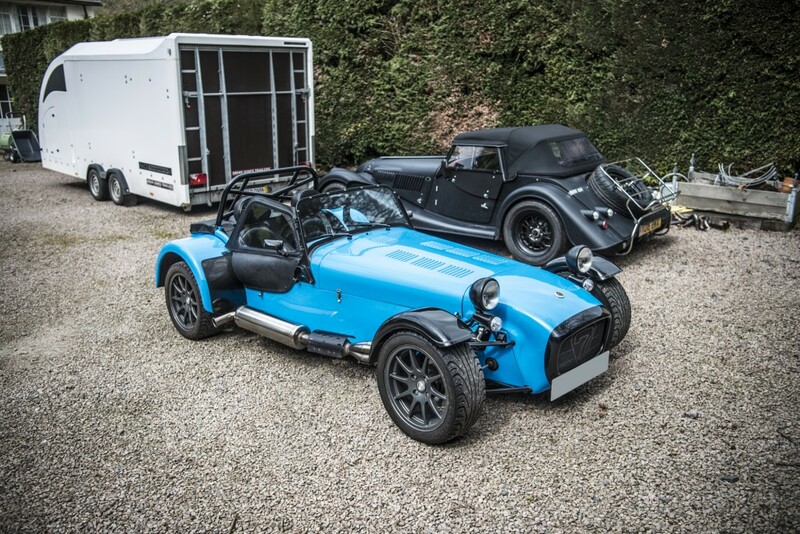 Unfortunately after these three trackdays Dad decided he wanted to sell the car. I was absolutely gutted. Since the car was sold it’s been my aim to be able to buy one! Fast forward to a few weeks ago (April 2016) and that day finally came. 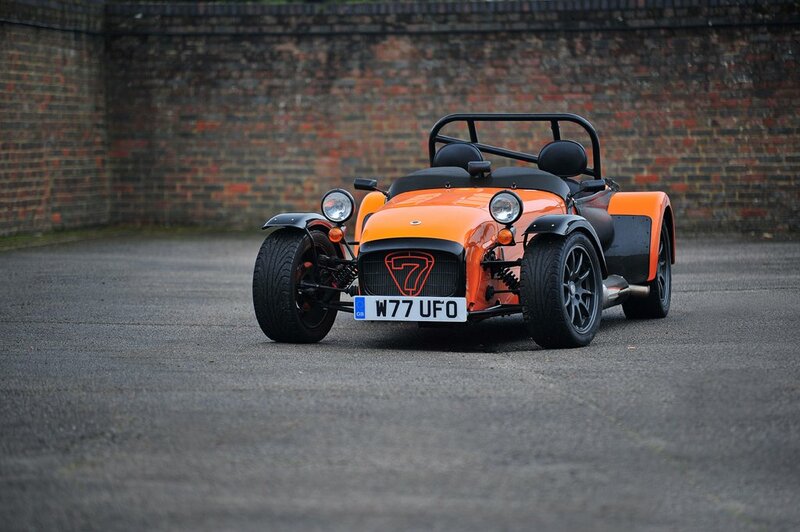 I’d been really debating which Caterham was for me. I wanted it to be at least as fast as Dad’s old one but not silly fast as I didn’t want to kill myself. 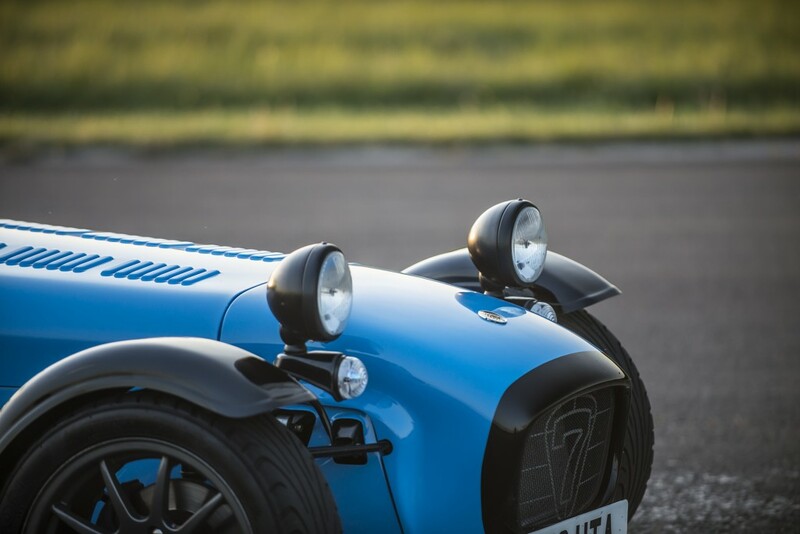 I kept a close eye on the classifieds until the perfect looking car came up! It was a 350 mile round trip to go see it, but the spec was spot on. 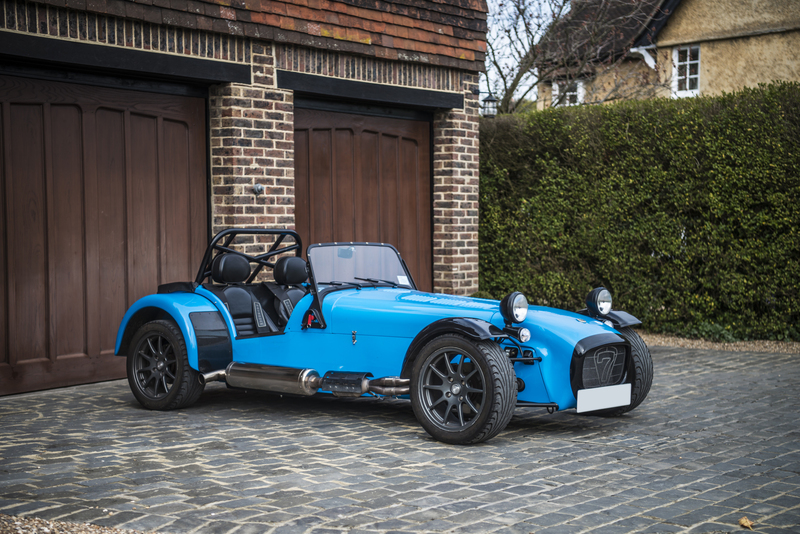 It’s a 2012 Caterham Roadsport Sigma 1.6, upgraded at the factory to have 150hp on throttle bodies and sporting a 6 speed gearbox, LSD and lowered floors. Also, the colour was amazing! So when I got there this is what I was greeted with! It wasn’t perfect, but it was in good condition and the things that it needed looked minor and a fun little project. I considered whether to buy it or not the whole way home, then made an offer when I finally made it home. A few hours later the seller accepted my offer, things suddenly became very real! I sorted the financial side of things then arranged to collect it on my trailer later that week. I barely slept the night before I collected the car, I was as excited as I was about Christmas when I was a child. Except this day was going to be even better! I left really early to get to the car for about 9am. Before I left I wanted to drive the car to check everything was okay from the drivers seat as I didn’t have insurance when I went to see the car before so couldn’t drive it. I took it out for a 10 minute drive and it was absolutely perfect. I was reassured that I’d bought the right car, so put the car on my trailer and took it home. 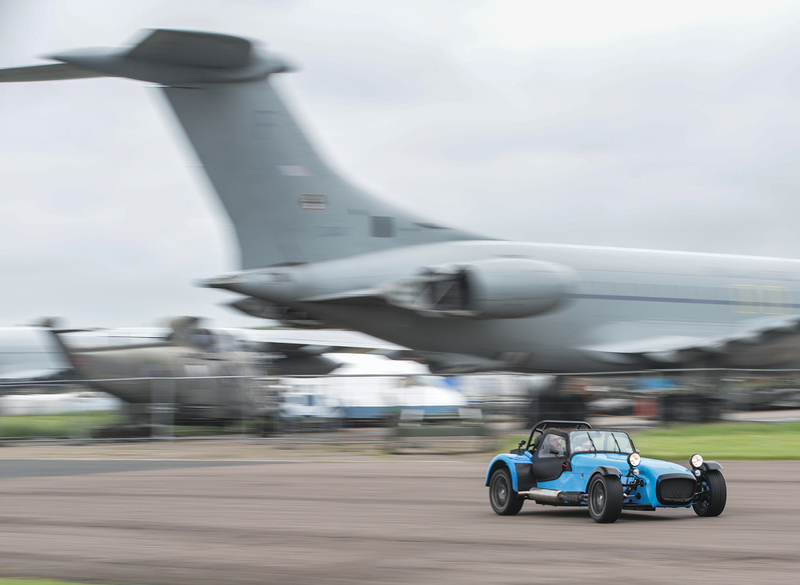 I got the car home, unloaded it and then took it for a little drive on local roads I knew. I was having the time of my life, it was amazing! Later that night my friend was coming round to see the car and have a drive so I gave the car a clean and put in a new switch in the pedal box to get the brake lights working again. In the process of doing this I managed to blow the fuse for the brake lights, so I had to drive it to Halfords to get a new fuse. On the way there on a couple of gear changes the gear stick was very stiff which was odd, but as it kept going back to normal after I didn’t think much of it. My friend arrived and we took it out for another drive. After about 5 miles the gearbox was getting stiffer and stiffer. I stopped to put some fuel in and couldn’t get it out of first gear. Not good, but about to get worse. Upon leaving the petrol station I couldn’t select second gear, and in fact it was stuck in first gear. Bugger. I drive it back to the petrol station in first gear then realise I can go from first to third gear if I get the technique right so decided to drive it home using first and third gear only! It dawned on me that I might have a serious problem, I was upset and my dream felt a little bit shattered. S**t happens though as they say. I put the car away and went out for dinner while we researched the best place to take it to to get it fixed. 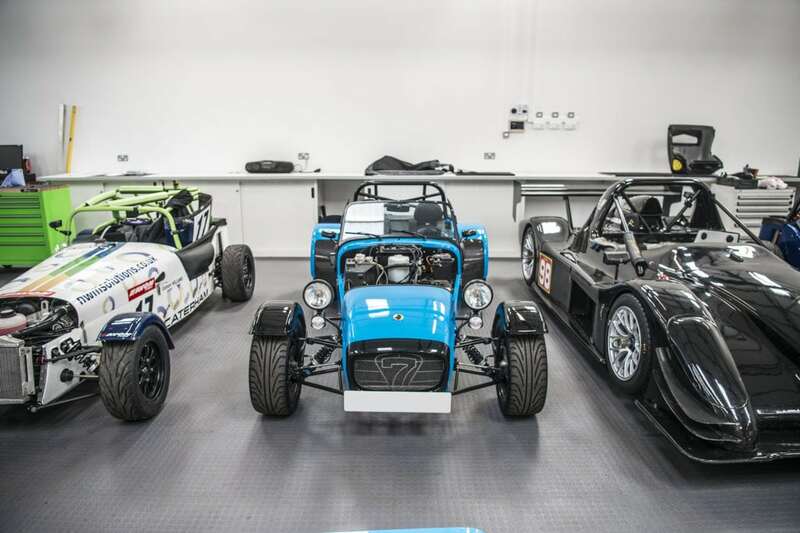 The day after collection the car still wouldn’t select gears so I took it straight to DPR Motorsport, a Championship winning Caterham Engineering Company who were conveniently local. Perfect. They said they’d take a look and work out what was needed and then get it working again. A few days later I had a phone call from DPR saying that they’ve looked for easy fixes and it’s none of them so unfortunately the gearbox needs to come out and be sent off for a rebuild. 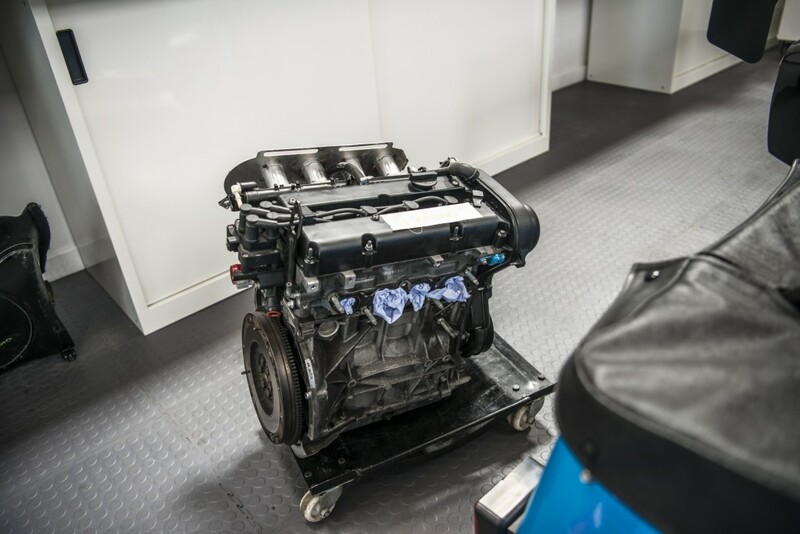 I give them the go ahead to get the engine and gearbox out and leave them to it. The latest update was yesterday when I dropped into DPR to see the car. It’s strange seeing your car with no engine or gearbox! So now I’ve got to wait to hear back from the gearbox rebuilders to find out what the problem with the gearbox is, then once it’s rebuilt it can then be put back in the car and I can finally drive it again!! In the mean time I couldn’t resist purchasing a nice upgrade – A TTV Racing Components Lightweight flywheel which apparently makes the car rev much faster and feel faster but I’ll update on how different it feels when the car is driving again.